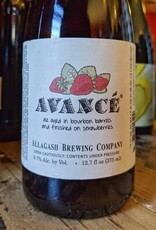 "Avancé is a strong, sour ale with aromas of strawberry preserves and toasted oak. Berries and more oak continue in the flavor, which concludes with a warm, sweet finish. The beer is brewed with multiple sugars including molasses, date sugar, white cane sugar, and dark rock candi. It’s then fermented with four different yeast strains and aged in oak bourbon barrels for a year with Lactobacillus and Pediococcus. 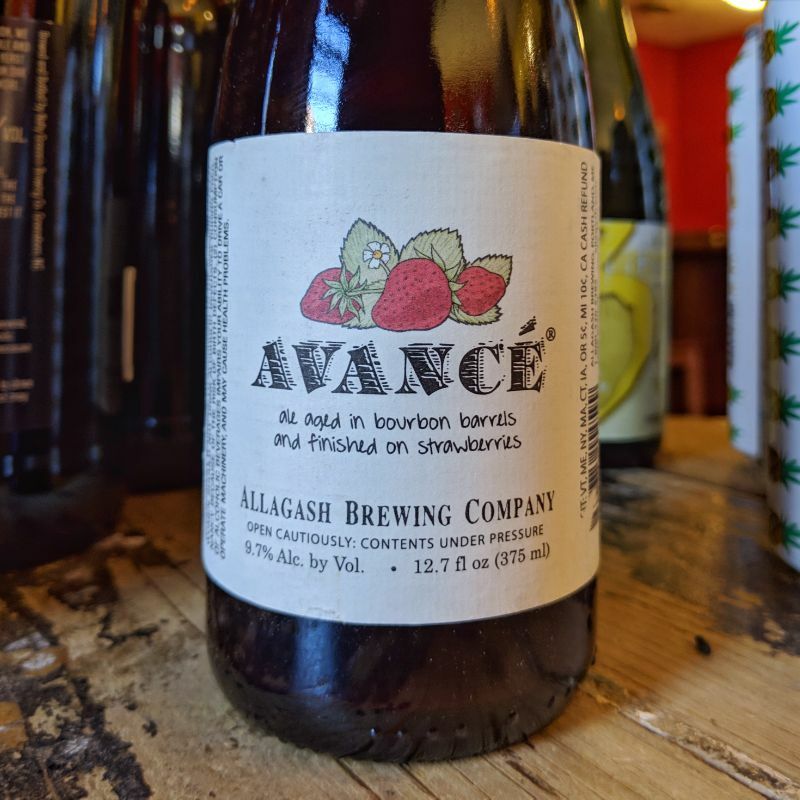 After transferring the beer to stainless we add one pound per gallon of fresh, locally picked strawberries and age it for another six months."